Tamilrockers Movies Website Warning: Tamil Cinema producer election becomes more interesting than R.K Nagar election in Chennai. Recently, Gnanavel Raja sir exposed his anger on Tamilrockers website in an audio release function, he responded for Tamilrockers update on Singam 3 movie live streaming on Facebook Live. Later, Tamil rockers team backed their decision and uploaded the movie that evening. 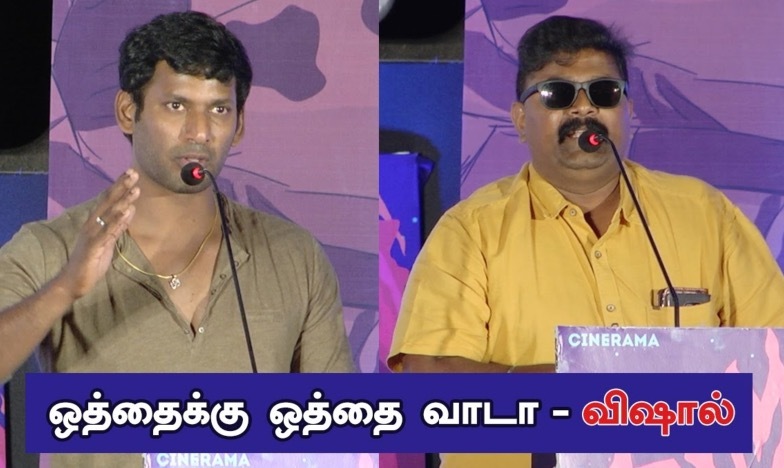 Now, Director Miskin sir came up with a huge warning to the Tamilrockers team regarding uploading new Tamil movies and pirated movies on their website. Miskin sir promised that if they win the election, Tamilrockers website owners will be arrested within a month as they are destroying and stealing many people dreams and life. On the other end, TamilYogi website is uploading the latest Tamil movies to watch them online without downloading it on their computer. Even they uploaded latest movies like Kadugu, Vaigai express and many other movies on the release date itself. Some sources claimed, Kavan and Dora movie will be uploaded today evening on Tamilrockers and Tamilyogi to download and watch online. We request users to stay away from such websites and force the Government to take action on movie ticket price and watch all the new Tamil movies on theaters with our friends and family. If you support it, share this with your friends and let them know what is happening with Tamil Producer council elections.